A+ Brand Girls long sleeve round collar blouse. Long sleeve round collar blouses are required for chapel. A+ Brand Girls long sleeve round collar blouse. 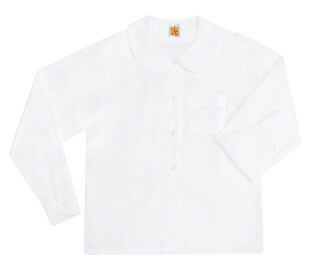 65% Polyester 35% Cotton Long sleeve round collar blouses are required for chapel.